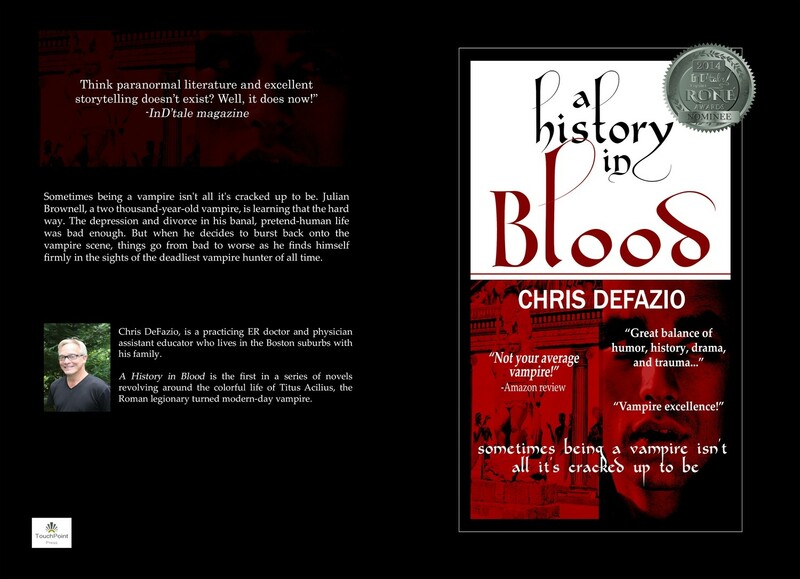 A History in Blood depicts a world where vampire culture and politics reside peacefully, and for the most, undetected beside the human world. It's a secretive and more dangerous culture for sure but counterpointed by everyday issues and problems that vampires have to deal with, just like their human prey. Against this backdrop, and with a healthy dose of humor, the story follows Titus Acilius (aka Julian Brownell, aka Christian Beauparlant) on his journey from Boston to New Orleans to Montreal to protect the people he loves from harm even as he searches for the answers to his ancient-life crisis.